I am an experienced professional SharePoint / Web Developer and Multimedia Developer. Together , my partner and I have established and developed the services offered by Polaris...Read moreI am an experienced professional SharePoint / Web Developer and Multimedia Developer. 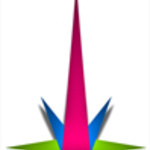 Together , my partner and I have established and developed the services offered by Polaris Design Studios, a Web Design and Multimedia Development company based in Forres, North Scotland. We specialise in the following : SharePoint 2010 / 2013, Office 365, Web Design, Content Management Systems, Graphic Design, Online Marketing, Web Development, Multimedia, Joomla, E-COMMERCE, e-Learning Objects and 3D Animation. We can tailor our services to meet your needs and desired outcomes and always provide first rate lines of communication at all times. Our aim is to provide sleek, functional and robust web solutions that aid our clients in generating more income and interest. We also employ web designers and developers on a part-time basis ensuring that the needs of our clients are met by experienced professionals who can provide a first-class, dedicated service. We particularly enjoy developing sites which are sport based. Whether this be golf, football, tennis - we thrive on the development of sites within the sports genre. 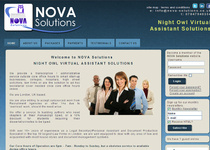 Recently our work has included creating sites that are bi-lingual. Our website for Pura Vida Ride can be viewed in both English and Spanish. 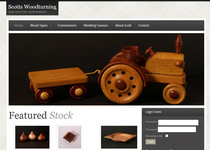 Description: Development of a Joomla CMS craft site with online sales. 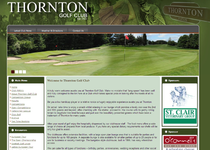 Description: Content Management System website designed and developed for a golf club. Paul did a great job. Can't rate him highly enough! Thanks for the work on this project. All objects have been completed successfully. Thank you so much. I look forward to working with you in the future. Paul was quick to respond to our request and actioned the work straight away to a high standard. Paul did an amazing job, great turnaround (especially given the time of year! ), overcome problems with my chosen template and helped me to learn a lot along the way. Would definitely recommend. So far, so excellent! I feel secure in the knowledge you will get the site up and running. Your work at this mid-way stage is hugely appreciated. I can see the finish line now. Top rate professional, exceeded my expectations, responded promptly to my questions, taught me how to use my site. Paul skills are un-match. I highly recommend him to everyone and look forward to continue working with him. 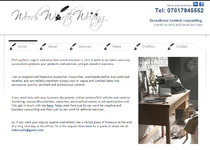 If you want your website done correctly you must choose Paul McMillan. Paul and Katie have been excellent, they did the work on my website within 24 hours and advised me on how to improve, their knowledge and help was very appreciated. Paul has a can-do approach which is very helpful. He delivered the job on time, resolving a couple of minor snags immediately.